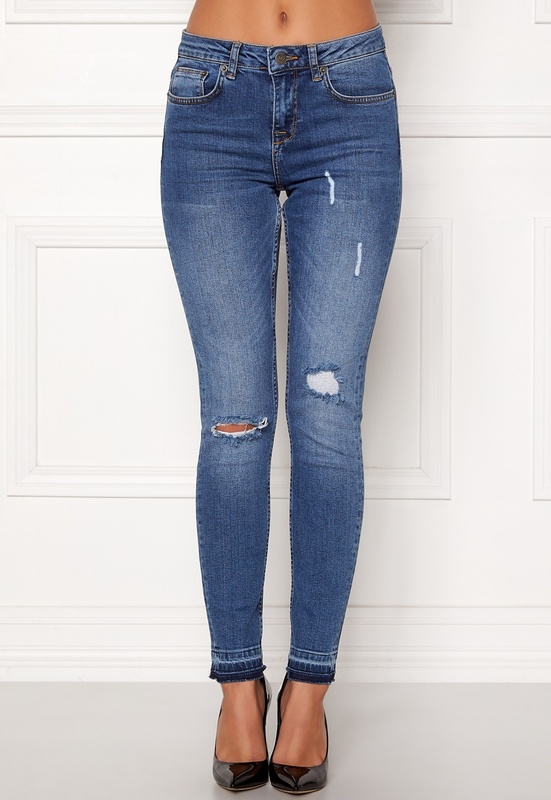 Stunning jeans from RUT & CIRCLE. The jeans have fancy openings and are a great fit. - Light stretch quality - 5-pocket style - Zippered closure with button - Openings at front - Raw hems Inside leg 73 cm, front rise 22 cm, waist 70 cm in size S. The model is 172 cm tall and wears a size S. Machine wash at 30 degrees.